Dear Kellogg's: Leggo My Eggo! Eggo Waffles are not going to be that easy to come by until at least next year. The frozen waffle is officially an endangered species. Kellogg's says there will be a nationwide shortage of its Eggo frozen waffles until next summer because of hiccups in production at two of its four plants. One in Atlanta suffered flood damage and its largest bakery is going through an upgrade. Its San Jose plant remains unharmed, but even the Silicon Valley is not powerful enough to toast up enough waffles to keep the rest of the country satisfied. The plant is not the only San Jose angle to this story. Eggos were invented in the South Bay back in 1950s by three brothers. You can add that to your "little known facts" arsenal. San Jose is so proud of its Eggo connection, the city gave the product a street name. The Kellogg's factory is located at 475 Eggo Way off Highway 101. The Eggo shortage is forcing Kellogg's to rip a page out of Soviet history. 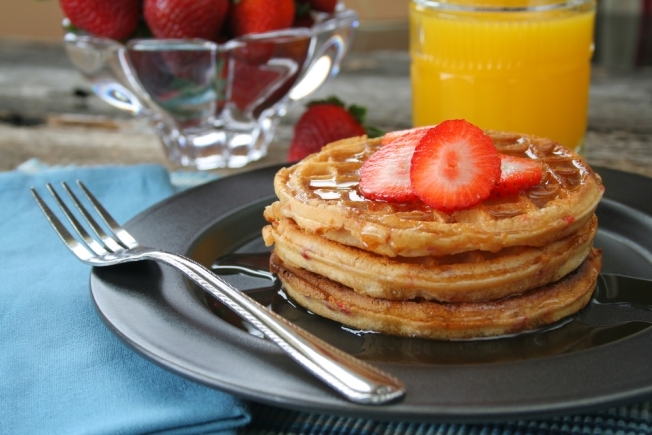 In a move that even Glenn Beck can't blame on President Barack Obama, we think, the breakfast maker will ration waffles to areas where they sell the best. The Leggo my Eggo topic is already among the most talked about on Twitter. There are also whispers by some of stockpiling and making money off the shortage by selling the toasty delights on eBay. And frozen waffle lovers will have to wait until the middle of 2010 before your grocer's freezer aisle is stocked with its normal ration of Eggos. May we suggest stocking up on Pop Tarts.